Virginia State Police are investigating the death of a 17-year-old on I-66 in Fairfax County as a suicide. Police were called to I-66 eastbound near Route 50 around 4:45 a.m. Tuesday for reports of a person walking along the right shoulder. But before they got to the scene, they received another call -- the victim had been struck. 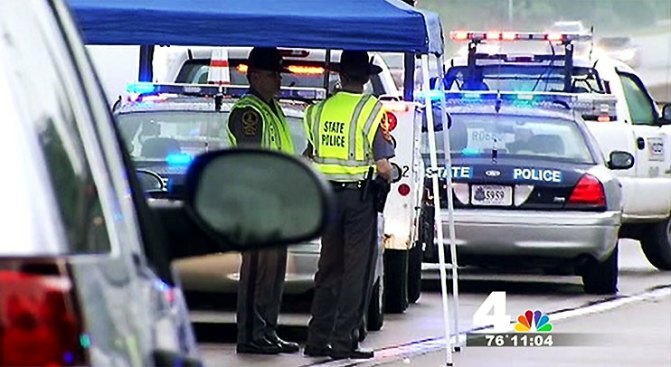 "He was struck by a vehicle and was killed right here at the 57.9 mile marker," Virginia State Police Sergeant C.W. Davis said. Investigators say the teen may have been hit by a tractor trailer due to the lack of debris at the scene. But whatever vehicle made contact did not stick around. Police are investigating the teen's death as a suicide. "He may have actually walked into the side of a truck," Davis said. A flurry of police and rescue activity rushed to the scene, and two lanes of traffic had to be shut down, causing delays throughout rush hour. One driver told News4 traffic reporter Adam Tuss it took him an hour just to move a few miles. At their height, traffic backups spanned about 12 miles. The teen's identity has not been released. Police are asking anyone who may have witnessed the accident to call 703-803-0026.